It’s summer in Lexington, and many homeowners are eager to open the windows and let the fans cool the house with fresh air. Time to get the fans in your house ready to get the job done. Fans move the air around your home, and if the blades are covered in allergens, dust and mold, these contaminants are being circulated throughout the home as well. 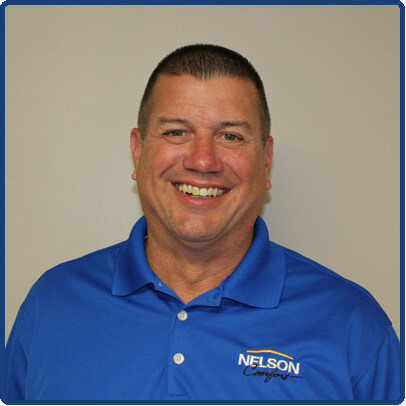 If anyone in your household has serious allergies and other respiratory health concerns that demand high indoor air quality, you should be cleaning your fan blades at least once a month. 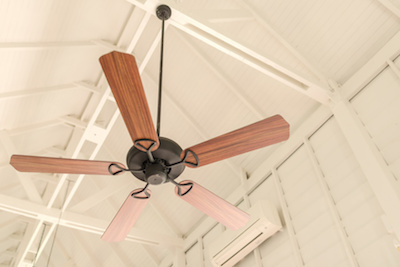 Ceiling fans are often one of the first things we notice as being in need of some attention. Fortunately, the average ceiling fan can be cleaned with only a stepstool and some common cleaning supplies. Start with a vacuum hose attachment to get the big clumps of dust, and follow with a duster of choice to pick up the rest. It might be helpful to cover any furniture below with a sheet before starting if that is a concern. Finally, wipe down the blades with a cloth or paper towel dampened with an appropriate cleaning product. The exhaust fans in your kitchen and bathrooms might be less obvious, but they need regular attention as well to keep operating as they should. A kitchen range exhaust fan can build up with grease and pose a fire risk. Start by shutting off the breaker to the circuit which powers the fan. Take a screwdriver and use it to remove the fan cover and filter, if the fan has one. These two items can soak in a sink full of soapy, hot water for an easy clean while you work on the blades. Carefully move on to the blades, cleaning with a wet, soapy paper towel. Stubborn grease on the kitchen fan may require a small scrub brush. Make sure the blades are thoroughly dry, then rinse and dry the filter and cover before reassembling. Keeping household fans clean will work to protect air quality as you enjoy fresh, summer air indoors. 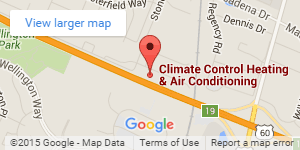 Climate Control of Lexington will aide you in improving air flow and ventilation – contact us today!